Opened in 2010, the JSCA International Stadium Complex located in Jharkhand has been the venue where the Indian cricket team has played many times. 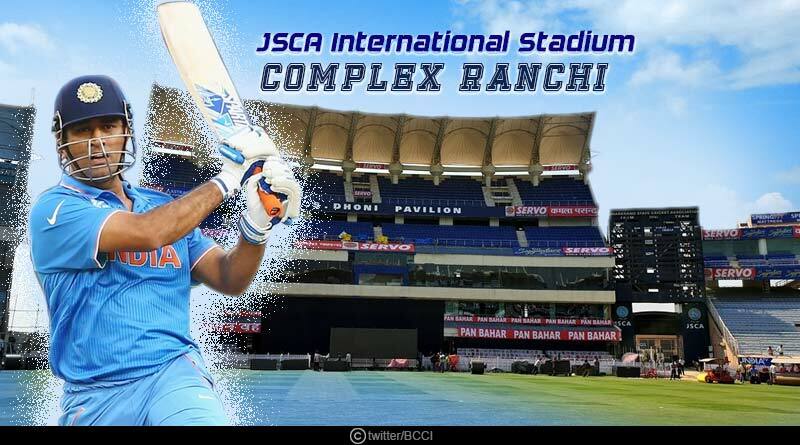 The JSCA International Cricket Stadium which has earlier hosted 4 ODIs, 2 T20I and a test match have seen India win both their T20 matches at the stadium while drawing the solitary test match it has played against Australia. Becoming the pinnacle of all cricket matches played at in the area, the JSCA International Stadium Complex became the solitary venue in Jharkhand for cricket after a squabble between the owner of the Keenan Stadium and Jharkhand State Cricket Association (JSCA). Jamshedpur’s Keenan Stadium last hosted an international match in 2006 on April 12 between India and England before rights were awarded for a new stadium to be built in Ranchi in 2009. Solely owned and operated by the Jharkhand State Cricket Association, the stadium is a technologically advanced, innovative venue with state-of-the-art installations and workings in place at it. With a seating arrangement that can house 35,000 people in it, the designing of the venue was done in such a way to ensure that no shadow falls on any of the nine pitches before 4:45 pm. It not only ensures that bad daylight is never an issue at the stadium but also allows day matches to be prolonged and played in more than adequate natural daylight for a longer period of time. Training and practice facilities are exuberant with another ground seeing 5 main pitches and 8 training pitches allowing the playing sides with more than adequate resources to fine hone their skill set before the main encounter. It’s a venue that is traditionally known for being a location that batsmen love to play, seeing mammoth totals being put on it across all three formats of the game. It’s not just international cricket that the stadium has played host to ever since its inception in 2010. Home to CSK and the Jharkhand cricket team, domestic tournaments from the IPL to the Ranji Trophy are a regular feature at the ground, indulging the city’s cricketing loving population in their fair share of cricketing matches each year. India and Australia have played a total of 3 matches at the stadium with the hosts always coming out on top against their opponents at the venue. The latest encounter the two contested at the stadium was a T20 encounter, one that saw India’s bowling unit bundle out Australia for 118 before going onto win the match after harsh and widespread rainfall brought an end to proceedings after 5.3 overs. The lowest total at the venue in the longest format of the game is a mammoth 451 by Australia in 2017 in the March 16-20 test match.